Stephen Reed has been mayor of Harrisburg, Pennsylvania for 24 years. The longest serving mayor in the state, Mayor Reed, far from coasting, has initiated several key projects in the city since the millennium. In 2000 the Pennsylvania state legislature asked him to take on the failing school district in the city. It was the first time a mayor had taken on the role in the state. In the last five years, graduation rates are up 71 per cent, numbers continuing to higher education are up 263 per cent. In 2006 Stephen Reed came third in the annual World Mayor project. In parallel, Mayor Reed has delivered universal 3-5 year old nursery education provision and been a leading player in the successful creation of the first new comprehensive university to be chartered in the state for 100 years. Harrisburg now proudly claims to be the only municipality in the U.S. which is establishing a formal education program for its citizens which runs from age 3 to continuing and advanced education. The Harrisburg University of Science and Technology received its first students in August 2005. Assurance for future recruits is high as it was granted candidate accreditation status in June 2006, a year earlier than is usual for new academic institutions in the US. The status enables students and prospective students to have a wider range of financial assistance opportunities. Reed has been involved in politics since he was at school in Harrisburg. Those who attended Bishop McDevitt High School with him in the mid 1960’s recall an earnest youngster, who seemed much older than his years. He was involved with senior school associations like the debating society whilst still very young. Politics was always his passion and he was Chair of the Pennsylvania Teenage Democrats for a period. However, Stephen Reed didn’t complete his higher education at Dickinson College, leaving early. Many years later, they awarded him an honorary doctorate. The budding politician went to the state capitol in Harrisburg and worked for the Democratic Caucus there. This gave him an early opportunity to impress and he was selected as a candidate in the 1974 elections. These took place in the wake of Nixon’s resignation and in the resulting democrat landslide the 24 year old Reed became a state house representative. 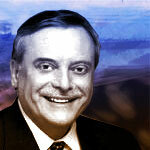 Reed served three consecutive two-year terms as a state legislator. During the last of these he doubled up as an elected commissioner of Dauphin County Council which includes Harrisburg, thus gaining his first direct local government experience. He has been in it ever since. In 1981, aged 32, he contested Harrisburg’s mayoralty. Like many eastern cities the city has a constitution, which allows mayors dominant influence with plenty of opportunity to succeed or fail. Winning the contest, he took up office in January 1982. Since that success, Reed has won six consecutive elections for his job. In five of those campaigns he was backed by both of the main political parties. Born in Chambersburg, PA, in 1949, Reed has utilised the strong mayor structure to put his imprint indelibly on the small state capital city in the middle Pennsylvania during the late 20th and early 21st century era. Financial probity lies at the core of his approach and many of the recent and current investment led initiatives are only possible because the city has now enjoyed triple A credit rating status for an extended period. 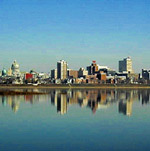 The gradual and sustained improvements in the city’s financial strength has been demonstrated by securing triple A rating after having had no credit rating at all in the late 1970’s and early 1980’s and also by the award of the Certificate of Achievement for Excellence in Financial Reporting by the US Government Finance Officers Association for 18 years in succession. The first award of the long run, in 1988, was the first ever for Harrisburg.. It is estimated that $4 billion of private sector investment has been spent in Harrisburg during Reed’s tenure. Property values have risen by 800 per cent. Reed has invested public dollars in the emergency services throughout and this was in evidence in the flooding of June 2006 when the city was able to manage the crisis and recover quickly because defenses had been improved. The Fire Service, now the largest in Central Pennsylvania, has achieved substantial reductions in the number of fires. Mayor Reed led waterfront regeneration in the 1990’s and his administration has worked with private sector partners to deliver several residential, commercial, retail and leisure projects there. With unemployment at its lowest ever rate and the population level stabilising after years of decline, the success enjoyed in economic development and city revitalisation has made it possible for the mayor and his team to become more ambitious still. Although it was conceived several years ago as a transport infrastructure proposal, the Southern Gateway project is now set to be one of the most ambitious urbanist projects in the country over the next 12 or more years. Part of the economic success story has been through increased visitor numbers. The mayor and his team have created new attractions including the National Civil War Museum and the Whitaker Center for Science and Arts and are currently working on the National African American Cultural Center. Although a location has yet to be finalised for this it is now in design proposal stage with an appointment of lead architect expected during 2006. The project is ambitious and aims for national and international significance. It also would be a fitting legacy for Reed’s long leadership for perhaps his most impressive achievement has been to continue winning the support of electors and of both the main parties in a black majority city. He hasn’t had the midas touch with all his visitor attraction initiatives. A proposed Wild West Museum was heavily criticised and was abandoned. He has consistently argued for better regional partnering. He is currently Chair of the South Central Association for Effective Governance. This is the first regional coalition in central Pennsylvania and Reed was a leading figure in bringing it into being. The Harrisburg mayor was the first leader in the region to argue for a commuter rail line and for a regional asset agency. Nestling in the verdant Susquehanna Valley in Central Pennsylvania and centrally-located within a three hour drive of 40 per cent of the U.S. population, Harrisburg has been in the forefront of American history since the time it was founded in 1719 as a trading post and river ferry crossing by John Harris Sr.
Harris’s son, John Jr., actually established the town that would one day bear his name, and set aside 10 acres of prime downtown real estate for the establishment of the state capital complex. Harrisburg served as the stepping off point for westward movement and migration through much of the Colonial era, and became a hotbed for the Abolitionist movement in the early 1800s. Harrisburg played a key role in the American Civil War, hosting the Union army’s largest training camp and serving as a transportation crossroads for troops and supplies. More than 300,000 Union army troops were mustered and trained in the city from 1861 to 1865. So important was Harrisburg to the Union cause that Confederate General Robert E. Lee made its capture his top priority in two northern campaigns, the second of which ended in disaster for the Confederacy when a small skirmish broke out 30 miles to the city’s south in the town of Gettysburg, growing over the next three days into the decisive battle of the Civil War, and forever turning the tide of war against the Confederate states. The city continued its prominence into the 20th Century, serving as a key manufacturing center during World War II, and today acting as a transportation and freight center serving the Mid-Atlantic United States. Financial distress, disastrous flooding and population flight plagued the city during the 1970s and 1980s, only to be turned around by reformist Mayor Stephen R. Reed, who took office in 1982. Reed’s leadership has since turned Harrisburg into one of America’s best small cities, gaining two All-America City Awards and realizing more than $4 billion in new investment over the past 25 years.